Death Wish Coffee Company, a trail blazing business from Saratoga Springs, has been uniquely fusing caffeine and culture for the past few years. We had no idea just how big of a deal they were when we started partnering with them..."The World's Strongest Coffee" is an understatement! Initially, they were looking for a larger mug style that would best represent their bold brand and we thought that the Camper mug, with prominent straight sides and a minimalist handle, would totally fit the bill. 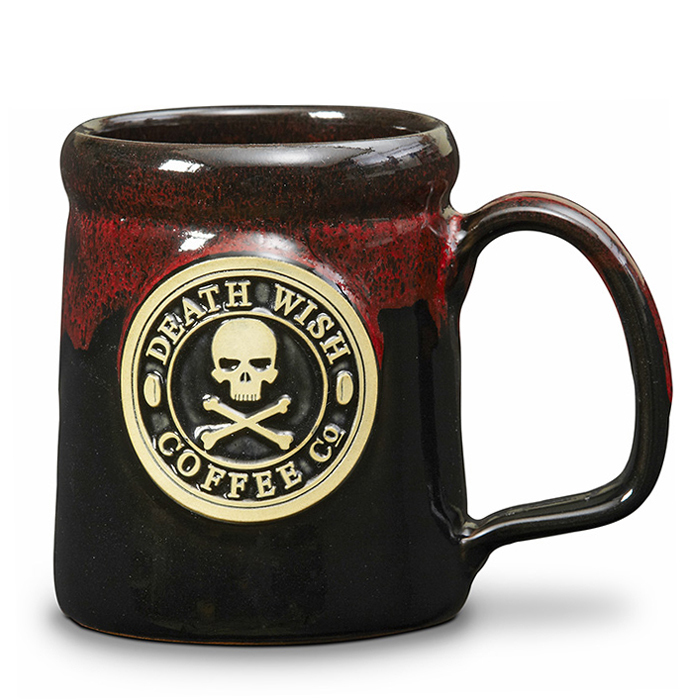 Luckily they also agreed, but be careful and do not underestimate Death Wish - it's literally the most caffeinated coffee on the planet and in the Camper, it tastes incredible!